Newspapers and other traditional media outlets get a lot of flak for not being more forward-thinking when it comes to what they do on the web or on mobile devices. And it’s true that many are stuck in the past — happy to continue plastering their websites with content shoveled from their print or offline operations. But even those who would like to be more creative often don’t have the resources to do so, since they usually have few (if any) staff with the programming and technology chops. Now the Knight Foundation and the Mozilla Foundation have joined forces to try and give media outlets some help in that area, by creating a fellowship program that will “embed” data and web-oriented journalists and developers in newsrooms as a way of sparking some creativity. The program, known as the Knight-Mozilla News Technology Partnership, is starting off with an “innovation challenge,” which is aimed at bringing in creative technology developers and journalists with interesting ideas for helping media online. The challenge winners will then get the chance to take part in a prototype-building event, and following that, 15 news-technology Fellows will be embedded in a number of different newsrooms “to help solve digital challenges,” the two foundations said. Mozilla will be directing the program with $2.5 million in funding from the Knight Foundation, and the first news organizations to get the embedded technologists are the Boston Globe, the BBC, The Guardian and Germany’s Zeit Online. The Knight Foundation is well known for its journalism efforts — created by the family trust of the Knight family, which founded what became the Knight-Ridder chain of newspapers, it provides scholarships and grants related to media and journalism, and has been involved in funding some interesting startups, including EveryBlock. Founded by programmer and Washington Post staffer Adrian Holovaty as a way of aggregating data about a neighborhood from a variety of sources such as government databases, EveryBlock was eventually bought by MSNBC in 2009, although the original code for the service remains open source (as required by the terms of the Knight Foundation grants). 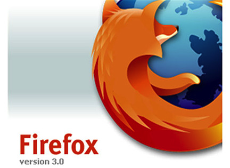 Mozilla, however, is not normally associated with journalism or media online. 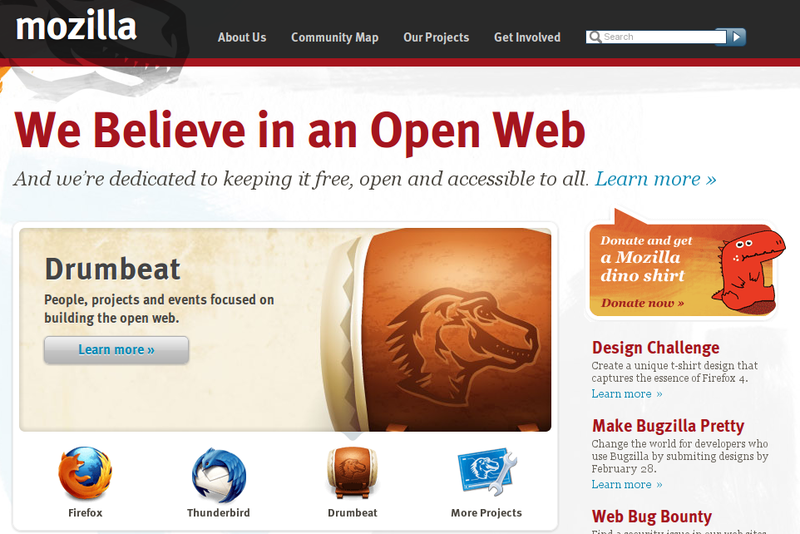 According to a statement from executive director Mark Surman, the foundation was interested in helping with the Knight project because “news and the web are intertwined” and “both are critical to keeping our economies and our communities strong.” The project is part of the foundation’s Mozilla Drumbeat initiative, which is aimed at fostering support for the open web. Whatever the rationale for the project, the reality is that many newspapers and other media need all the help they can get. While the New York Times and a few other outlets are well known for the innovative data-focused and web-related experiments they create — such as The Guardian’s blockbuster “crowdsourcing” project, which saw 20,000 people pore over thousands of documents related to MPs expenses in 2009 — others are hard pressed to do much more than post their stories (many of which don’t even have hyperlinks). For every Cincinnati Enquirer, which created its own Foursquare-style app called Porkappolis so that readers could check-in at local hotspots and get news and reviews from the paper, there are dozens of news outlets that barely know the web exists. One potential flaw in the current announcement, as noted by Tom Foremski of Silicon Valley Watcher, is that the news organizations the Knight and Mozilla project are starting with are fairly large entities with plenty of resources, who likely don’t need as much help as some other outlets in taking advantage of the web. But the two foundations say that they are open to helping as many newspapers and organizations as they can with the project, and are taking applications from anyone who is interested. Demand Media: Search Spam or the Future of Content? I’ll post a longer thought on this at some point, but — for now — I have to admit that I’m a bit confused by the criticism(s) of working with “large news organizations.” The focus of the project is “shifting the market” and having as broad an impact as possible with limited resources and time. The news partners that are currently involved (and the others that will become involved) will — in our opinion — represent the best chance of doing that by their ability to A) host the fellows effectively and B) share the outcomes the broadly in the news community.